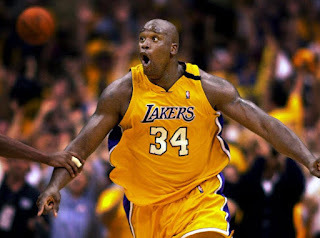 -When we talk dominance, aggressive play, and amazing talent, the ability of Shaquille O'Neal instantly comes to mind. From the very first moment that Shaq stepped foot into this game, he commanded attention and power. Though a New Jersey native, Shaq ended up in high school down in San Antonio, TX, at Robert G. Cole High School, where he led the team to a 68-1 record over two seasons and to a state championship his senior year. He was already seen as something special, but it was when he got to LSU that you really saw the gifts he possessed. His run in LSU is storied as the rim breaking, fast paced, high energy offense of Shaq was unstoppable and he would end up becoming a two-time All American, two-time SEC player of the year, NCAA player of the year, and eventually would be inducted into the LSU Hall of Fame. With his college accolades set, Shaq decided that he wanted to take his talents to the NBA and entered the 1992 draft. He was projected to go early in the draft and that he did, as he was the no. 1 pick taken by the Orlando Magic. Due to his size, personality, and star power, Orlando instantly became the team to watch. His first season in Orlando saw him put on an absolute show and lead the Magic to a 41-41 record, 20 wins more than they had the season prior. 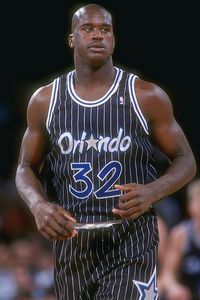 Shaq would be named an All Star and win Rookie of the Year in his first season with the Magic, showing that he is a force to be reckoned with. Though Shaq's prime was with the Lakers and winning 3 championships, his most exciting run was in Orlando. 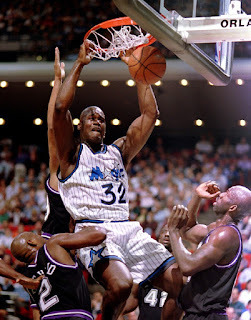 Shaq was simply the man in Orlando and he was the most dominant thing I had ever seen and witnessed in basketball. I didn't get to witness Wilt, but Shaq was the next best thing as far as dominance. I vividly remember his 24 points, 28 rebounds, and 15 blocks performance against the Nets in his second season, and once Penny Hardaway came to the Magic, you'd almost assume that a title was on the way. Unfortunately, despite Shaq winning a scoring title while in Orlando and a Finals trip that ended in a sweep by Houston, Shaq would not stay there. He ended up going to the Lakers, a move that would change his career forever. The run of Shaq on the Lakers was absolutely amazing. While the first few seasons, the Lakers would come up short in the playoffs, you could see a dynasty forming right in front of our eyes. Kobe and Shaq had the ultimate chemistry on the court and despite the failed runs through his first few years in Los Angeles, Shaq and Kobe eventually got it together, and they won 3 straight championships, along with Shaq winning his sole MVP award in 2000. 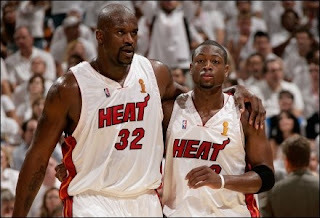 He would win 3 Finals MVP awards before moving onto the Miami Heat and winning yet another championship with Dwyane Wade. However, one thing that plagued his career was his knack to piss off his teammates and want the focus to solely be on him. As his career dwindled down, this led to Shaq being seen as over the hill and wanting too much, a reason why he would go from the Phoenix Suns to the Cavaliers to the Celtics within 3 seasons as his career came to an end. 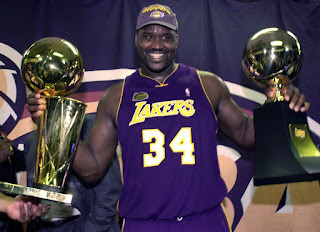 Regardless, Shaq is a legend, a Hall of Famer, and the most dominant center we've seen in the last 30 years plus. Today, the team decides to sit down and discuss his legacy, on and off the court. Let's get into it. Shaquille O’Neal’s legacy will be submitted as both a basketball player and entertainer. 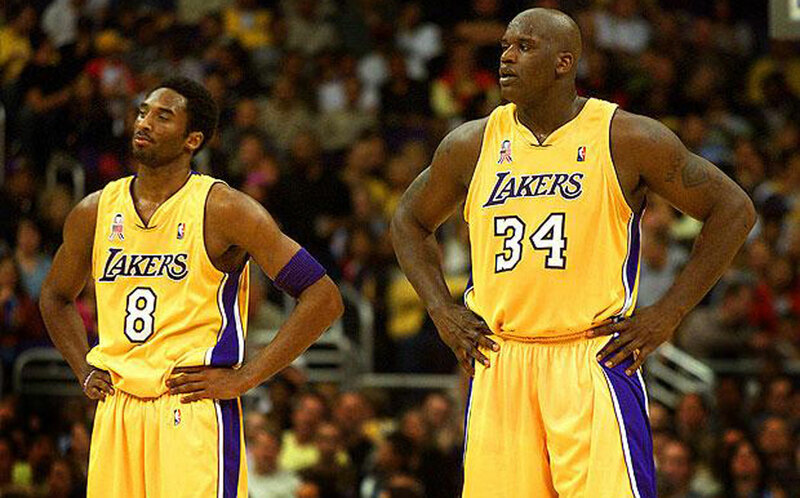 The dominance of Shaq on the court was something we’ve never really seen before. A player with such strength to break rims on every dunk and bully his way through a double team for a score. I mean they allowed zone defenses just because of this guy. Shaquille O’Neal was indeed a one of a kind big man who dominated the game physically, which is something we may not see ever again. 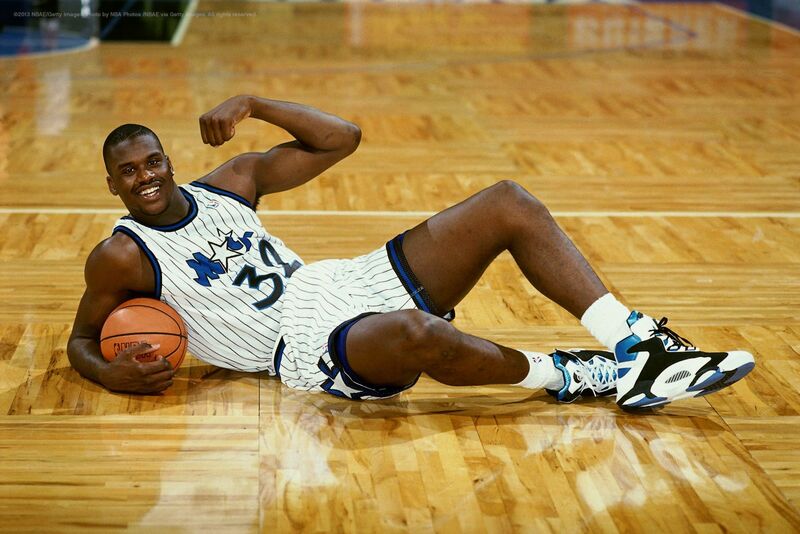 While half of his moments were on the court, Shaquille O’Neal had plenty off the floor as well, which made him wildly popular. He was a rapper which was something he’s did pretty well, but didn’t last too long, as well as an actor that starred in a few movies, and has done endless commercials and TV shows. His rise to fame off the court helped him transition into retirement very easily. 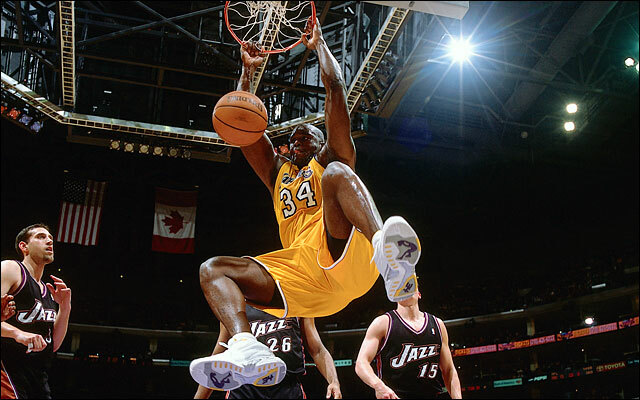 With Shaq on the Inside The NBA crew, we see his entertaining side every season with Charles Barkley and Kenny Smith, but we can’t forget the rim rattling dunks and dominance he displayed on the court at all. To me, I will remember Shaq for both the entertainment, memorable press conferences, and historic display of play on the court. 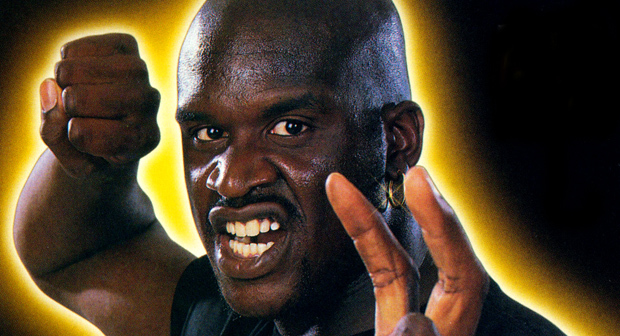 Shaquille O'Neal might be the most influential center of all time. Not kidding. I mean, the guy is almost as close as Wilt himself to being the most dominant player of all time. It was truly a beauty to watch. Now, some of us were pretty young or weren't even born yet when he was playing for the Orlando Magic, but if you cared enough to search up old games when he was with the Magic, you knew he had been dominant since the start of his career. Most NBA player enter their prime between ages 25-31. Not the case with Shaq. He had been in his prime since his career started, and lasted for about 10-12 years. That's what you call DOMINANCE. If you thought his Orlando years were dominant? Check out his Laker days. EASILY the best playing during his tenure with the Lakers, winning 3 NBA Finals championships along with 4 Finals appearances with Los Angeles over 5 seasons. His best year of his career was 2000. He was UNSTOPPABLE as he won an MVP Award, NBA Finals MVP Award, and All-Star MVP Award. After leaving the Lakers in 2004 due to beef with Kobe Bryant and an NBA Finals loss to the Detroit Pistons in 5 games, Shaq was traded to Miami at around 33 years old. He wasn't as dominant as his previous years, but even there, he still had a great tenure, winning a 4th NBA Championship with Dwyane Wade & the Miami Heat in 6 games against the Dallas Mavericks in the 2006 NBA Finals, bringing Miami their first ever NBA title. He ended up being traded again to the Phoenix Suns, and also played with the Cleveland Cavaliers, and the Boston Celtics. He truly is the greatest center I have ever witnessed with my eyes, and I'm thankful I got to see Superman play. He also had strong ties with hip hop which helped influence urban culture and basketball. He rapped, played roles in a ton of movies, and was a known worldwide celebrity. The guy definitely helped attract fans to the NBA, especially during his days with the Magic & Lakers. He's up there when it comes to legacy/influence with Allen Iverson, Michael Jordan, etc. Truly a legend. 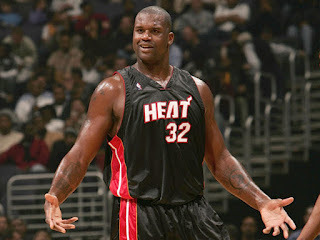 At 7'1 and 325 pounds, Shaq will be known as one of the most dominant big men we have seen in the game. His four NBA championships along with 3 Finals MVP awards could explain the impact he had on the court with All-Stars and future Hall of Famers such as Kobe Bryant and Dwyane Wade. He’s known for his dominance in the low post. Overpowering his opponents with his size and drop-step move. His career average is great on all levels, but I will always drag him down for his free-throw percentage. That was the weakest link in his career and he accidentally started the “Hack-A _____” tradition. To me, he started slowing down after the HEAT tenure he had. He seemed outmatched because of weight and it didn’t look like the same Shaq. However, he is a HOF and he was always an All-Star player, but I think he could have ran the MVP race for a solid 5-6 years if he wanted to. A great career we saw in this man who’s now an analyst on Inside The NBA. 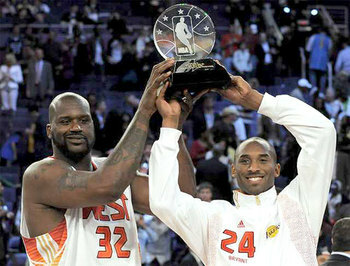 -After everything Shaq accomplished in the NBA, to see him finally end up as a rightful HOF was great. Also, his work outside of the sport is truly entertaining, except for his film roles in Kazaam and Steel. His albums were interesting and his video game Shaq-Fu was extremely fun to play. Shaq now is an analyst on Inside The NBA, and he puts his entertaining personality to great use there. No matter what, when we look back on his career, we won't see the injuries that came up or coach disputes, we will see the dominance and legacy of one of the greatest centers ever. Word to Shaq Diesel, you can't stop the reign.